The act of surprising your sweetheart with a bouquet of flowers is sweet enough to melt hearts. 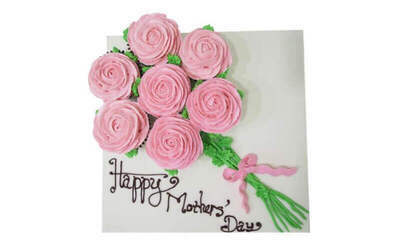 Kick that sweetness level up a notch and give your loved one a lychee rose cupcake bouquet. Its soft and delicious sponge is lightly infused with rose water, filled with juicy lychee chunks, and frosted with a silky smooth rose buttercream. Valid Tue - Sun: 9am - 5pm. Not valid on Mon and public holidays. Blackout period: Dec 15, 2018 - Jan 1, 2019. Valid for delivery for with surcharge of $20 - $35, payable directly to the merchant.